Description: 01. 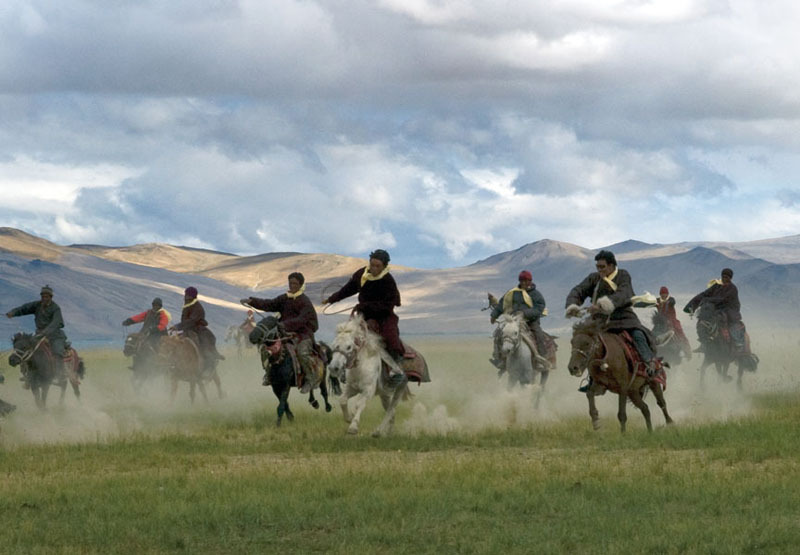 A group of Changpa horsemen riding a race in Changthang plateau. Horse race is an ancient and prestigious sport among the Changpas but now has become infrequent.